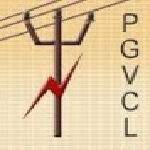 Gujarat PGVCL Junior Assistant recruitment 2016-17 apply for 35 posts : Paschim Gujarat Vij Company limited (PGVCL) welcomes application for the position of 35 Vidyut Sahayak (Junior Assistant) vacancies. Candidates who completed their BE, B.Tech is a good opportunity.The individuals who are the occupation seekers searching for govt employments in Gujarat this is the best chance to apply. Competitors read the official notification then read all the guidelines and miners precisely then apply before the last date online application got. All the interested and eligible candidates can apply online before 25th July 2016. Govt jobs for BE, B.Tech. Educational Qualification for the Job: BE, B.Tech. Candidates Age Limit: The age of the candidate should be 35 years. The age of the applicant should be as on 4th July 2016. Academic qualification details: Candidates should have BE in electrical engineering or B.Tech in electrical engineering in regular mode from a recognized university with minimum 60% marks for general categories candidates and 55% marks for SEBC categories candidates / schedule caste categories candidates (SC) / schedule tribe categories candidates (ST) UEWS categories candidates (Aggregate of 7th and 8th semester, first trail without ATKT). Details of Fee particulars: All the interested and eligible candidates are need to pay application fee Rs 500/- for General categories candidates / Un – reserved categories candidates / SEBC categories candidates / physically handicapped categories candidates / schedule caste categories candidates (SC) / schedule tribe categories candidates (ST) through state bank of India Challan at any of the state bank of India Branches. Official website: All the interested and eligible candidates can apply online through official website of Paschim Gujarat Vij Company limited (PGVCL) www.pgvcl.com from 4th July 2016 to 25th July 2016. Process of applying for the job: All the interested and eligible candidates can send hard copy of online application along with photocopies of required documents to General Manager (HR), Paschim Gujarat Vij Company, Regd. and Corporate office, Paschim Gujarat Vij Seva sadan, nana – Mava main road, Laxminagar, Rajkot:- 360004 on or before 4th August 2016. Important Dates: All the interested and eligible candidates can apply online before 25th July 2016. All the interested and eligible candidates can send hard copy of online application before 4th August 2016.